Our health can be complicated. By going down one path we found that there were limitations in providing you with what you really need. So when presented with health complications we believe the best way forward is within a team to give you the holistic care you deserve. The best outcome we found was to work together right from the get go, to combine our knowledge and experience. 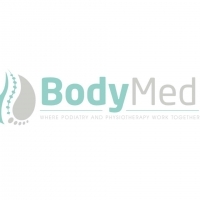 This means offering a unique and additional service of encompassing all the aspects of treatment together; from initial assessment, to diagnosis, treatment and creating your plan moving forward.